Fallout 76 is out soon, but some players who have been checking out the beta claim that the game is worryingly susceptible to hacking – including everything from giving characters more health to manually kicking players from servers. 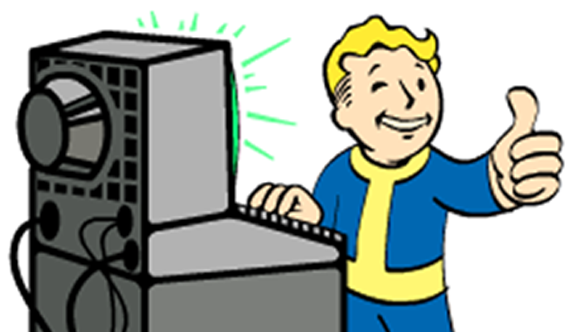 Bethesda, on the other hand, has called the claims “either inaccurate or based on incorrect assumptions.” However, while the developer doesn’t believe these concerns about hacking are as serious as players have made them out to be, they have apparently highlighted numerous issues which are real – and Bethesda will be stepping in to fix those issues before release. The Fallout 76 developer provided comment about these players’ concerns to IGN, where while it thinks the concerns are a little alarmist, it does confirm that “the community has however called to attention several issues that our teams are already actively tracking and planning to roll out fixes for. Our goal is always to deliver a great experience for all our players. Cheating or hacking will not be tolerated.” However, Bethesda does not say what issues are legitimate, nor what ones it will be fixing. The concerns about hacks in Fallout 76 first appeared in a Reddit post by user teetharejustdone. They claim that there are “no server checks to verify models or file integrity” in the game, client to client communication is not encrypted, and that the Wireshark program can be used to directly hack the game. These would allow hackers to make sweeping changes to the game – from just creating funny mods like increasing tree sizes, to more serious fare like kicking players. The user suggests that the appearance of various Fallout 76 mods, despite Bethesda previously saying the game won’t have mod support at launch, is proof of his claims.